2012 is coming to end, and no one will disagree if i say it hasn't been a great year for gaming industry in general. Lots of excellent games came out in 2012, but the ones listed below did not fall in this category. These games raised our excitement and expectations feeling to the highest level (because of all the stunning pre-release demo, marketing campaigns and more), but things didn't turned up as expected by all of us, as the final product were flawed or just mediocre. Here's a look at Most Disappointing Games of 2012. The popularity and reliability of Call of Duty series in gaming industry is know to each and everyone of us. On console the franchise has provided gamers an excellent campaign and arguably the best online multiplayer experience to date, but things went completely haywire with Call of Duty: Black Ops Declassified on PS VITA, and no one expected this. The game included woefully short campaign (it was so short that GameInformer completed in just 42 minutes), small and ridiculous multiplayer maps and brain dead A.I. Fans of the series were disappointed with Black Ops Declassified on PS VITA and went on to say that Black Ops Declassified was just a chance to cash in on the Call of Duty brand. Mass Effect 3 ending was one of the most trending topic in 2012 on internet. Fans of the series didn't like Mass Effect 3 ending and there was a massive outrage over this (because the ending of Mass Effect 3 was the conclusion to an entire series, and fans didn't wanted it to end this way). Fans were disappointed with the large extent so much so that one of them went on to file a FTC complaints against EA and Bioware for "FALSE ADVERTISING". But things ended happily as Bioware agreed to the demands of fans and gave them the ending they wanted via Extended Cut DLC. 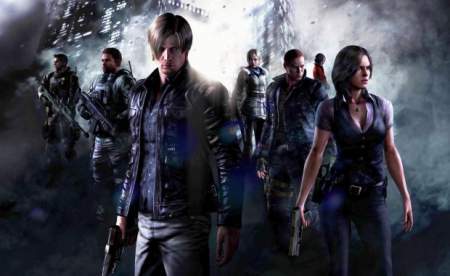 Resident Evil series was the one that put survival horror genre on gaming world, but Capcom decided to tweak it to some extent with Resident Evil 6 (going for a completely new direction) and this didn't go well with fans. Capcom added four different campaigns into Resident Evil 6, all of them lack in focus and most important survival horror element. When Medal of Honor: Warfighter was announced by EA and Danger Close, it was touted as a Call of Duty destroyer but this new attempt of EA to reboot once proud Medal of Honor franchise was flawed and the game falls well short of its goal. Medal of Honor: Warfighter gameplay was shallow and uninspired. The emotional element in the game was also not well received by fans. Ninja Gaiden series is known for its steep challenge and tight action among its fans. However the latest installment in the franchise "Ninja Gaiden III" didn't live upto the expectation due to its repetitive gameplay. It failed to challenge and rewards gamers who completed it, and rather went on to become just a button-mashing bore. These are our Most Disappointing Games of 2012. Let us know your choices to us in the comment section below.